After many years in a doctor's barn, this car has finally emerged. The prior owner had removed the chrome and painted the car prior to my purchasing it. However, it is now undergoing a full frame off restoration as is appropriate for the very first of the most well known classic American automotive design. This may be the most recognized classic automotive design worldwide. 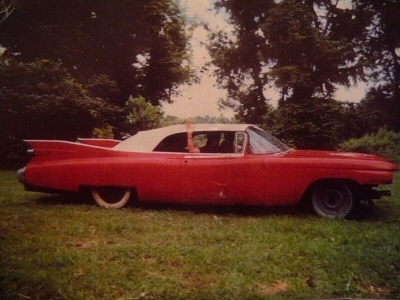 This is 59 Eldorado Biarritz Body Number "1". The frame is numbers matching, as is the engine block. This is a loaded original tri-power and air conditioned car. 1959 was the first model year bucket seats were available, and this is the first 1959 model bucket seat car. According to a well known and respected Cadillac historian this car was hand built before regular production along with the other pilot cars. Only 1 Eldorado Biarritz pilot car appears to have been built (there were several 6 window coupes, 2 Eldorado Brougham's, 2 62 Coupes, 2 Sedan Devilles (4Window) etc. This car is different from the regular production cars for example no x bracing above the engine compartment and no holes in the fenders for the braces. This car was purchased as a running driving car. It was purchased very complete, some minor parts may be missing such as some of the corner bullets on the rear bumper and hub caps etc. The car indicates on the passenger door trim that it was specially built for a member of one of Detroit's high society families. A family that a member of the Dupont family married into. These are pictures of the pilot car as it was purchased, in solid condition. I hope to post pictures of the car in its various stages of restoration, for those who are interested in sharing in the restoration of this historic car. The car has been completely dismantled, supports have been placed in the doorposts and it has been placed on a cradle. As is typical of convertibles there was some rot in the floors and trunk and we have removed the pans and pan braces for replacement. There is also rust along the bottoms of the quarters, rockers etc. as is typical for these cars. New metal had been placed on the bottom of the quarters by a prior owner which we have removed so as to have new steel formed to the proper contours as part of the future restoration work. Frame is very solid, with serial number stamped clearly. The engine and tri-power units have been professionally rebuilt and assembled. What I am told is the original transmission has been professionally rebuilt. The differential is being sent out to be checked. 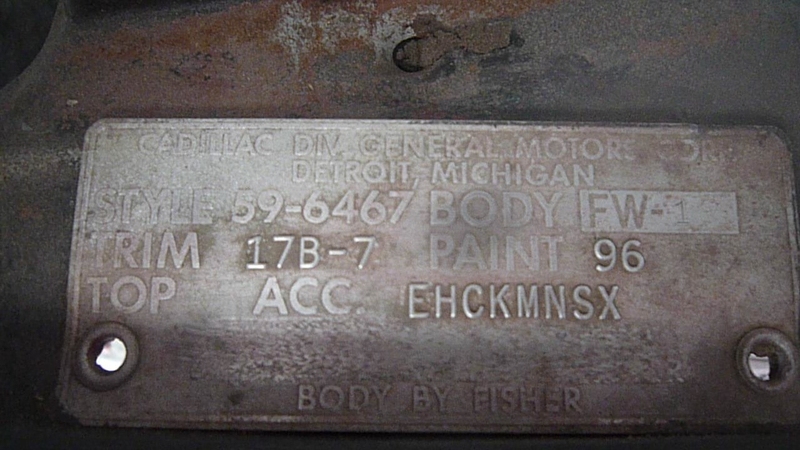 The body has been partially sandblasted. We are getting ready to complete the stripping and treating of the body. We will update this site as each portion of the restoration progresses.